Columbus, OH (Apr. 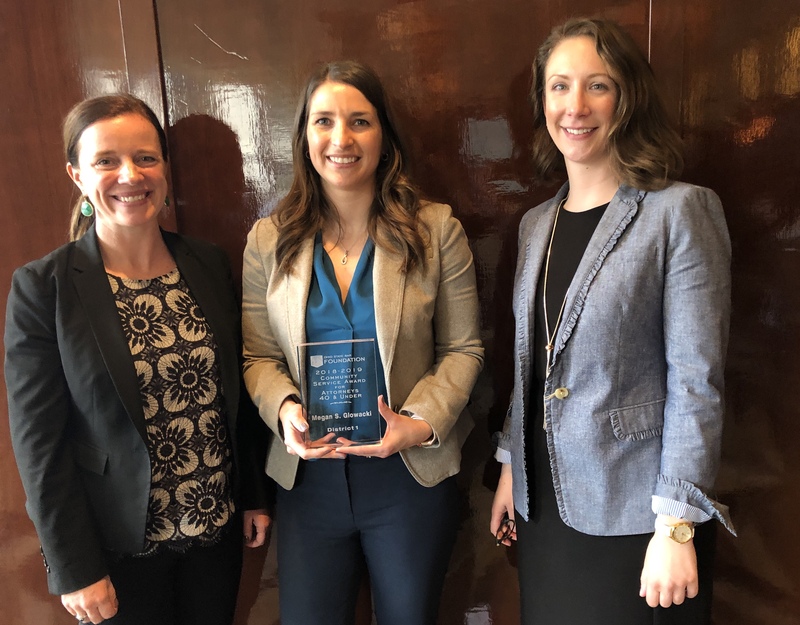 5, 2019) – On Friday, April 5, the Ohio State Bar Foundation (OSBF) awarded its District 1 Community Service Award for Attorneys 40 & Under to Megan Glowacki. Glowacki has been a labor and employment lawyer for nine years, enjoying the opportunity she has to roll up her sleeves and dig in with her clients to find solutions to problems. Outside of work, Glowacki stays active serving her community. She volunteers regularly with Pro Bono Partnership of Ohio, which is a recent OSBF grantee and the 2018 awardee of OSBF’s Outstanding Program or Organization Award for its pro bono work for nonprofits in Cincinnati and beyond. Glowacki was one of PBPO’s first volunteers, and she continues volunteering with them to this day, helping and guiding local nonprofits that may not have the budget for legal services.